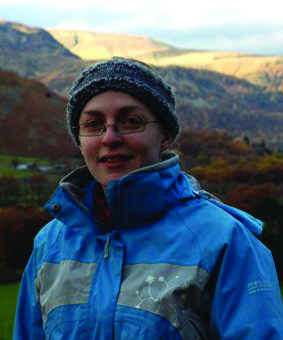 Rosie is the joint Project Manager with Andrew. She was born and raised in (occasionally) sunny Edinburgh. After graduating from Newcastle University, she spent 2 years swanning off around the world and making her friends back home jealous with photos of herself on the beach. This year, she returned to ‘The Burgh’ to study at Edinburgh Napier and while lamenting about the rapid fading of her tan, is mega excited about the possibility of dressing up as pirate. 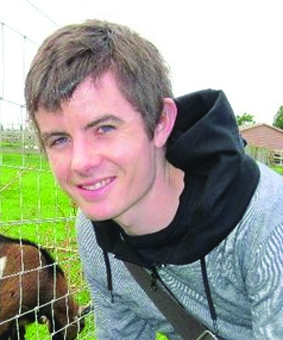 Joining Rosie as joint Project Manager is Andrew. He hails from the rainy city of Glasgow, where, in addition to jumping in puddles, he spends the majority of his time surrounded by books of all sorts. Primarily interested in Rights and Editorial, Andrew is also a bit of a geek, and therefore relishes the opportunity to spend so much time working on texts featuring parallel dimensions, mythical creatures, and pirates. Christina is the head of editorial. She grew up in a wee village in the Highlands, before moving to the big city of Glasgow, where she studied English Literature and Film and TV Studies. 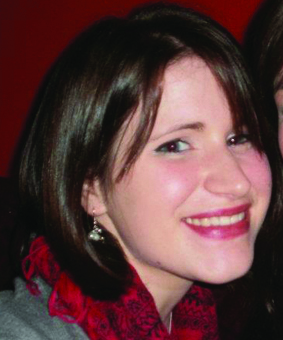 After travelling and working in Asia as an English teacher, she moved to Edinburgh to study publishing, with dreams of becoming an editor for a lifestyle magazine. She also likes drinking lots of tea, shopping in Armstrongs and watching Lauren Bacall movies. Ellie works in the editorial team with Andrea and Christina. She originally comes from somewhere around London, but, by way of St Andrews, Glasgow and Edinburgh, has come to consider Scotland her home. After two years exploring Japan, she has come back to the UK in the hopes of becoming a Literary Editor, or working in the design areas of publishing. She also likes drawing, painting, interesting books and really good cups of tea. Andrea works in editorial. 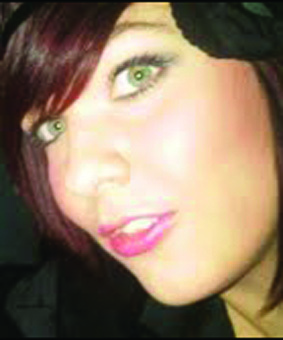 She originates from Northern Ireland and studied at St Andrews. She has lived in Edinburgh for the past 3 years, teaching English to errant teenagers, frequenting the city’s coffee shops and wandering around in a state of general bewilderment. Her passions are art, tea, writing silly blogs, Armstrongs bargains and, of course, books. Michael is the Department Manager of Production and Design. He’s lived in Edinburgh for 6 years, though he originally hails from the backwaters of Fife. A fan of super tiny animals, Michael will most likely be found huddled up in an old bar or coffee shop, or rifling through piles of second hand books and records in the one of Edinburgh’s many fine emporiums. 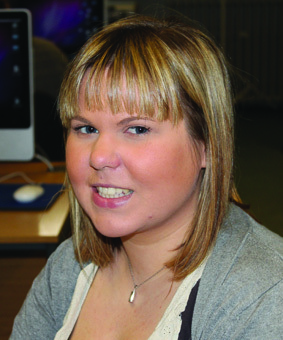 Leah is a member of the Merchiston Publishing Design & Production department. She studied BA(Hons) Illustration as an undergraduate so was eager to help out with the arty part of the projects. 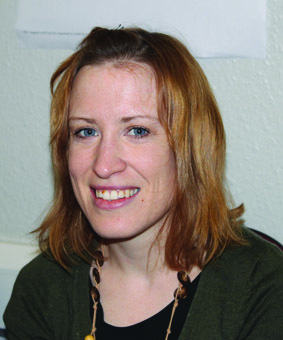 Her role consists of working on the cover designs for both Treasure Island: The Play and Lilith along with the design of the extra content for each text. Leah works on improving ready-made artwork submitted from Edinburgh school children (for Treasure Island) and Edinburgh College of Art illustrators (for Lilith) to make it suitable to appear on the front of the books. The covers for each text must be appealing to two very different markets so she has to liaise closely with marketing to ensure that we get the design just right! Wanda is an adopted Scot who initially came from a vast country far, far away called Poland. Having lived in windy, stormy and rainy Edinburgh for quite a while she fully understands the other Napier students’ fascination by the all-sea-things, which has expressed itself in producing the Treasure Island. However, since her true literary interests lie with the magical realm of the fantasy world, she decided to get involved with the Production and Design team and help produce Lilith, a book she looks forward to reading as she sets the text up! 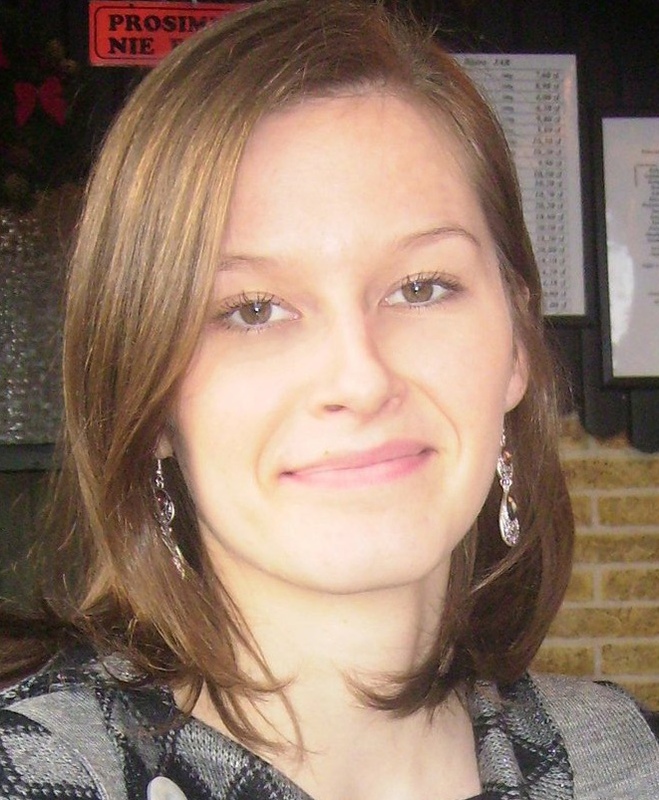 Ewelina works in Production and Design. Reading has always been her greatest passion and inspiration in life. Literature has become one of her greatest teachers. It has taught her how complex and fascinating a human being is. 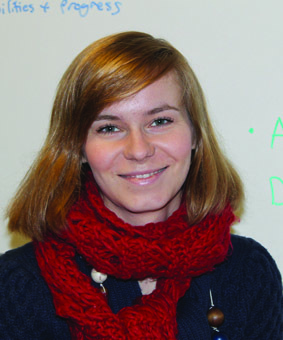 Her interest in literature and human nature led to studying psychology at Jagiellonian University in Poland, then at Edinburgh Napier University. After graduation she began to realise what it was she truly wanted to do in her life. And here she is, pursuing her dream to become a publisher! 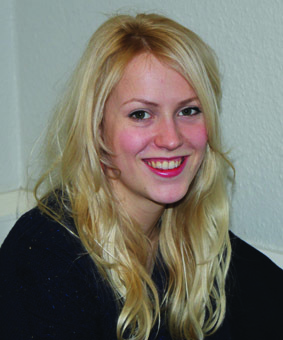 Holly McKenzie comes from Kingston upon Hull in Yorkshire, but moved to beautiful Edinburgh to fulfill her publishing dreams. With a BA in English Literature, Holly hopes at the end of this year to flex her publishing muscles in the world of marketing and advertising. For the live projects Holly is taking on the role of Finance Manager, controlling the budget for Lilith and Treasure Island – including printing, launches and any costs her team throws at her. However, outside of the classroom (and sometimes within it) Holly enjoys nothing more than a good cup of tea! Tori Klein has always had a fascination with words, whether it be reading them, hearing them, or writing them. 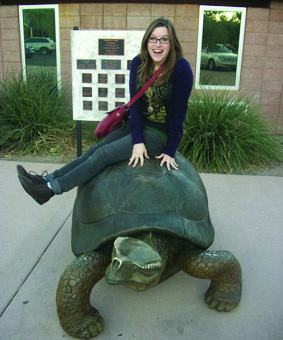 Her passion has enabled her to explore and report on a variety of topics, from local music to sand sculpture. She also dabbles in video editing and web design, and her work has been published in both print and online medium. If she doesn’t make it in the publishing or journalism industry, her plan B is becoming a Space Cowboy. 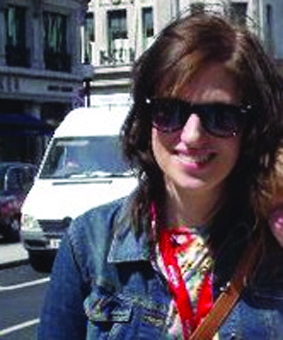 After a degree in Psychology and 5 years working for the University of Edinburgh, Ruth decided to follow her dreams and aim for a career in publishing. She loves fiction, particularly science fiction and fantasy but also has an addiction to cookery books. 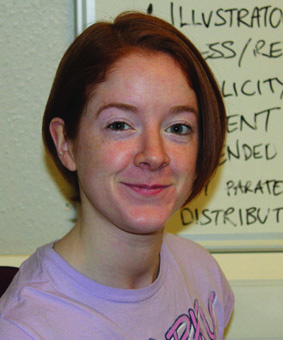 Following her MSc she hopes to get a job in Edinburgh ideally in editorial or digital production. Wherever she ends up she plans to continue baking cakes and reading books. Ayup! 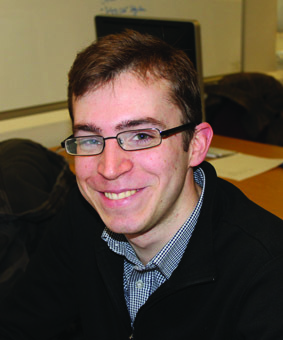 Tom came up north from the lands of Yorkshire to study Publishing at Edinburgh Napier University. He is part of the digital team but also unashamedly moonlights in design. In his spare time, he likes to relax with a good book, preferably of the science-fiction and fantasy variety. Since starting the course, Tom was surprised to discover just how fascinated he has become concerning the little white spaces between letters and words. Carol-Anne is Department Manager of Marketing. She hails from sunny Penicuik which appears to have its own bad weather system. 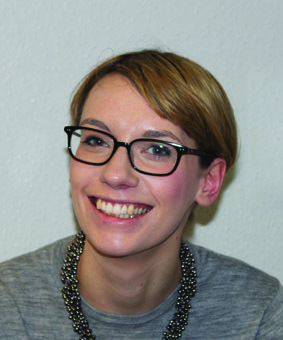 After studying English Literature at the University of Edinburgh she has now embarked on an MSc Publishing in hope of one day becoming a magazine editor. She believes that most problems can be solved by a nice cup of tea. 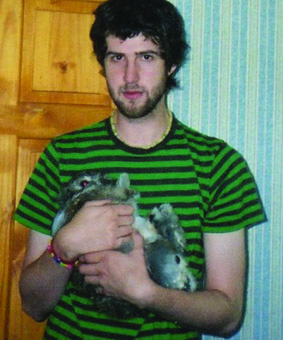 Jamie is originally from down in the Scottish borders, currently living in Edinburgh as part of his studies. He enjoys anything to do with books and reading. 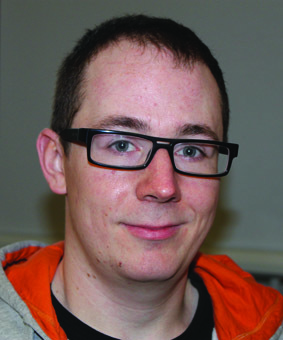 He also enjoys writing and has ambitions to become an author as well as working inside the Publishing profession. He would like to travel some more and to see a lot more of the world… if only he wern’t so poor! Kirstin originally hails from what seems like the other side of the world, Glasgow. 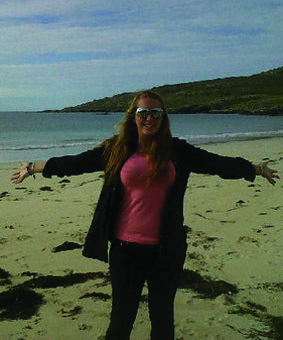 After spending 4 years studying media in Dundee, Kirstin fell in love with life beside the seaside. She has an unhealthy obsession with pandas and this might be the real reason Edinburgh has now been graced with her presence. She spends her spare time hanging around museums, drinking too much coffee and funnily enough, reading. Madainn mhath!! Actually that’s a lie nobody likes mornings! Sian packed up her bags and moved from her quiet little croft (hill farm to you lowlanders) up in the mountains of the West Coast of Scotland to the bright lights of the city of Edinburgh. As part of the Marketing Team she hopes to get lesser-known novels such as Lilith the credit and publicity they deserve, as she has a love of books that have a weird and dark twist to them. When she’s not trawling the archives she likes to spend her free time with Caman in hand, running riot on the Shinty pitch!